Staff excellent. Very friendly and helpful with everything. Front desk supervisor Hamza was an outstanding host, always giving a bit of extra time to make sure everything went smoothly. 10/10 highly recommended. Helpful staff on check in, provided additional towels and key quickly when asked. Clean and not too far from Canary Wharf. Quiet at night. Professional, clean, friendly staff and good value. Beds very comfortable even the sofa bed. Lovely balcony. On the drive up to the hotel I called to book parking only to realize they had not allocated me a room despite me booking 3 weeks in advance and them taking an immediate payment at the point of booking. The space was excellent - 2 large bedrooms and a large sitting room with kitchen and dining table. The balcony from the bedroom was good. Clean, big confortable apartment that can host up to 5-6 persones. The kitchen living room is big and the kitchen is well equipped and spacious. 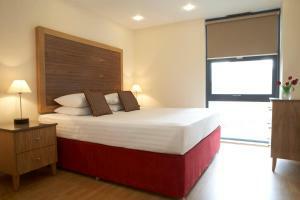 Spacious, clean, well maintained, high speed wifi, quiet and easily accessible to the best bars in Canary Wharf. 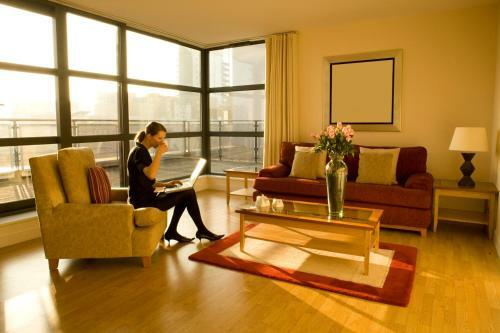 Marlin Apartments Canary Wharf This rating is a reflection of how the property compares to the industry standard when it comes to price, facilities and services available. It's based on a self-evaluation by the property. Use this rating to help choose your stay! In lively Canary Wharf, the luxury Marlin apartments are a 10-minute drive from the O2 Arena. The stylish apartments have private parking and free internet access, with the option to upgrade to super-fast 100MB broadband. 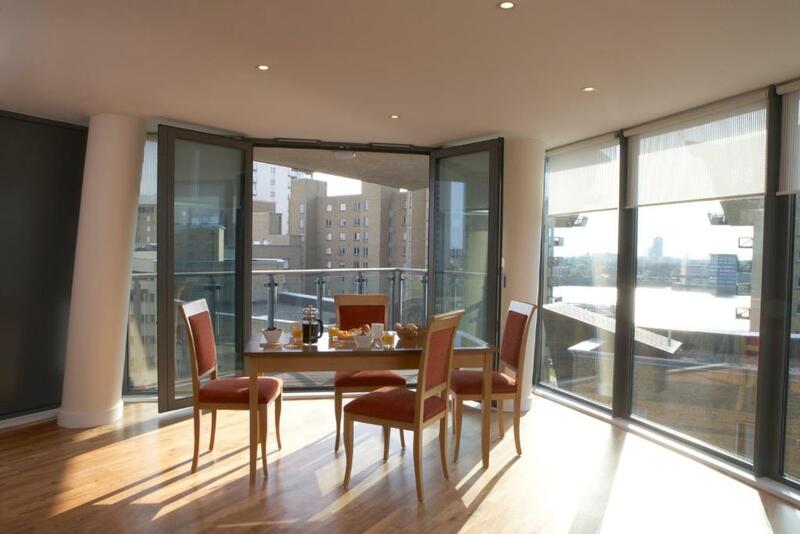 The 4-star Marlin Canary Wharf apartments feature bare hardwood floors and floor-to-ceiling windows. 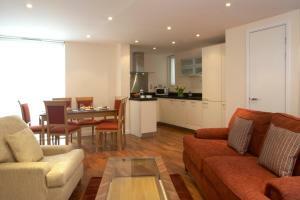 The spacious open-plan living areas have sofas and a flat-screen TV/DVD player. Each apartment has an equipped kitchen with a refrigerator and microwave, and there is also a cozy dining area. Guests can use laundry facilities and a weekly housekeeping service is also provided. Just a 10-minute drive from the ExCel Exhibition Centre, guests at Marlin Canary Wharf are only 5 miles from London City Airport. Canary Wharf Underground Station is a 10-minute walk away. When would you like to stay at Marlin Apartments Canary Wharf? No extra beds available. Note that some apartments feature a double fold-down bed. Private parking is available on site (reservation is needed) and costs GBP 25 per day. Spacious apartment with free Wi-Fi, an open-plan living and sleeping area, a full kitchen, underfloor heating and a designer bathroom with a shower and L'Occitane toiletries. 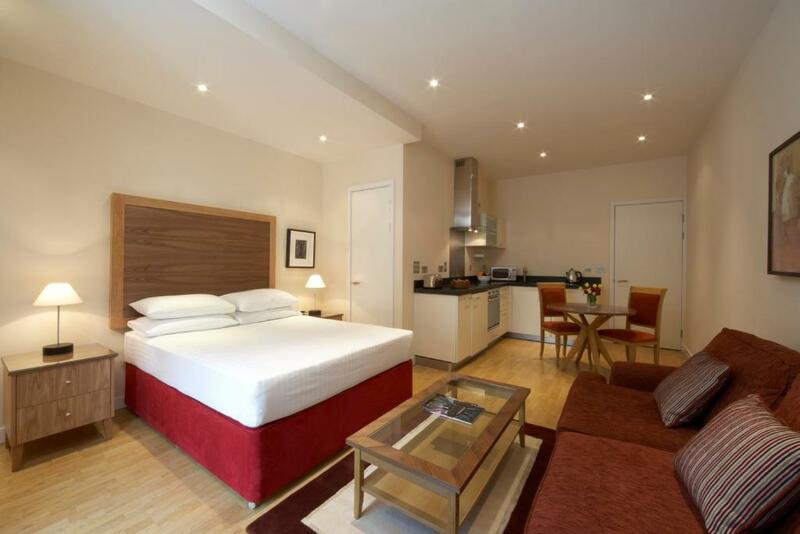 Spacious and contemporary apartment with free Wi-Fi, 2 double bedrooms, a full kitchen, underfloor heating and a designer bathroom with a shower and L'Occitane toiletries. Penthouse suites offer stunning views of London’s skyline, and feature a private balcony. 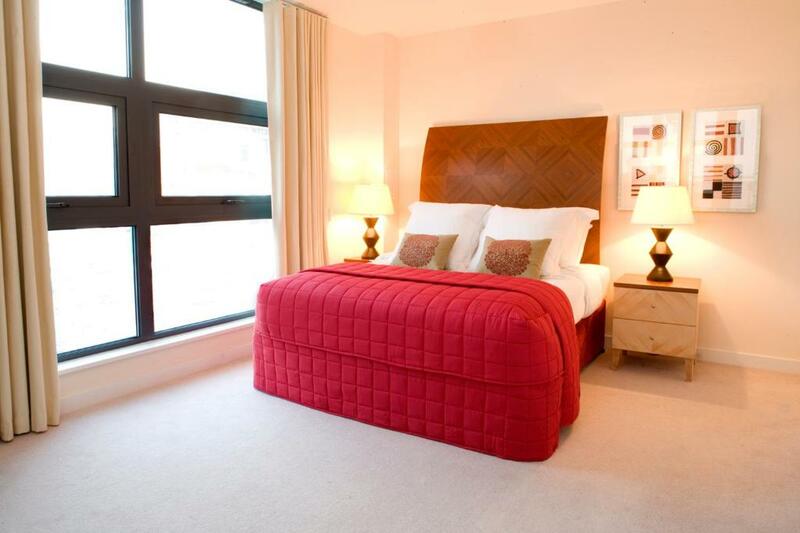 A spacious apartment with 2 double bedrooms and a double sofa bed. Free Wi-Fi access, a wide-screen TV with a DVD player and a bathroom with L’Occitane toiletries are also provided. Linens are changed weekly. Marlin Apartments Canary Wharf is the ideal property at which to spend a city break in London. 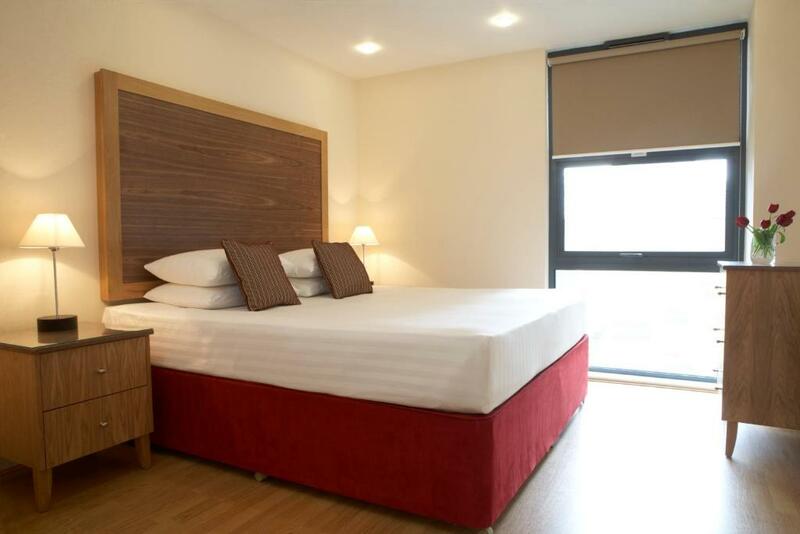 It is Marlin's only property to feature family apartments and 3 bedroom apartments which can sleep up to 8 guests. 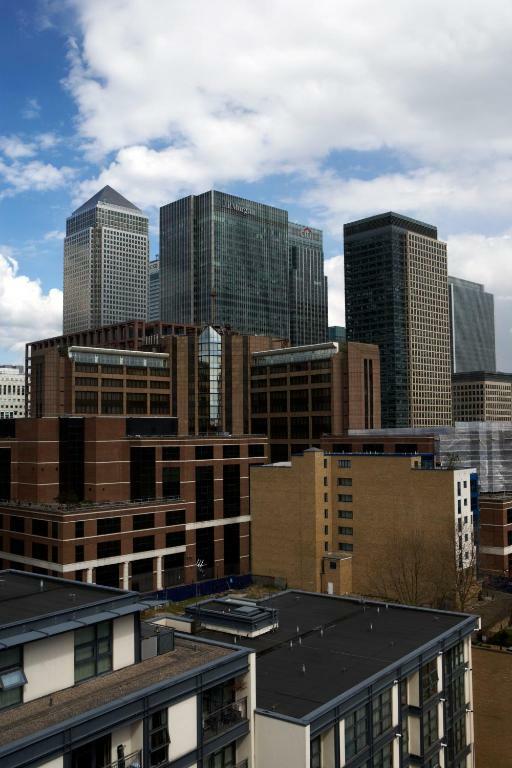 Canary Wharf is an exciting area brimming with sophisticated bars, restaurants and just a short journey from central London via the tube. At weekends the area is considerably quieter when the commuters disappear, so it is ideal for a more peaceful weekend break in the capital. 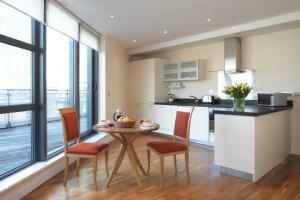 House Rules Marlin Apartments Canary Wharf takes special requests – add in the next step! 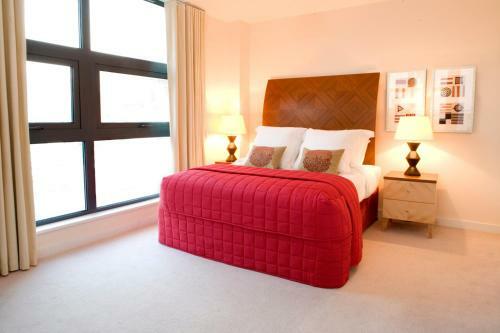 All older children or adults are charged GBP 42 per person per night for extra beds. Marlin Apartments Canary Wharf accepts these cards and reserves the right to temporarily hold an amount prior to arrival. Please note the apartments reserves the right to pre-authorize at least GBP 200 on your chip and PIN credit/debit card upon arrival. Reservations made for weekend days may be pre-authorized up to GBP 500. As an extra measure against increasing fraudulent activity in London, Marlin Apartments will ask you to provide photographic ID and the card used to make the booking upon check-in. If you are not able to provide this, you may be re-charged on a card you do have present upon check-in, and the original payment will be refunded. Please be aware that Marlin Canary Wharf operates a strict no-party, no-gathering policy. Should the maximum number of people per apartment be exceeded without authorization, guests will be charged. Photo ID (passport/driving license) is required at check-in. With at least 24 hours' notice, breakfast can be provided. Bad area. Door to the building was ripped off when I checked out. Comfortable once inside the property. The heated floors 😍 The space - two bedroom. No detergent or sponge to wash dishes. No TV channels available not even freeview. Loud neighbourhood late at night on the weekend. Good bed linen and comfy pillows. The room wasnt as advertised in pictures, and was a bit smaller than expectations. Good place with good transport links and kept fairly clean. thought I was booking a luxury apartment. pictures were very misleading. windows blanked out on pictures so you can't see the horrendous views of the squat looking building opposite. reception looked nothing like the pictures. bedroom looked nothing like picture. free parking was not free. there was a large deposit to pay that I was not informed about before I had booked and paid for room. I didn't bother staying for both nights was very disappointed.